Want the lush look but don’t want the lush prices of a natural grass lawn? 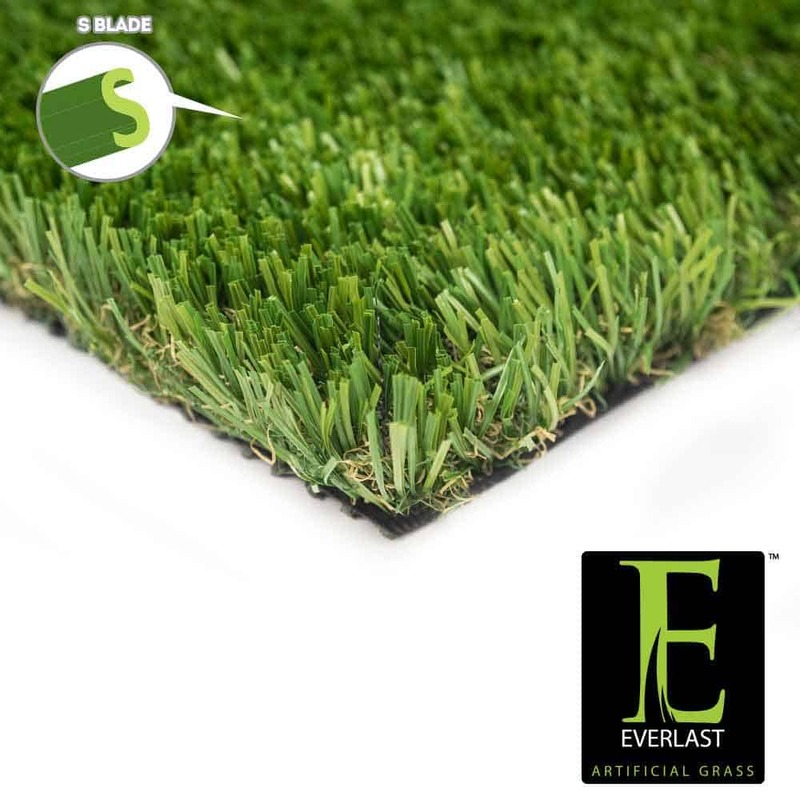 Costly landscape care is a thing of the past with Everlast Turf Tacoma synthetic grass! Noted for its extremely dense appearance, Tacoma artificial grass boasts a 90 ounce face weight with a field and olive green grass blade combination. As a top choice among nationwide certified artificial grass installers, Tacoma synthetic turf is a perfect landscape alternative for any commercial or residential property that experiences moderate to heavy traffic. Through the latest in tuft bind technology, every grass blade is triple reinforced into the backing which makes it extremely resistant to pull force motion. Not only can your pets and children play on this durable turf, but this turf also features a perforated backing for easy drainage! Clean up has never been easier! Our 15 year warranty guarantees your grass will stay green and pristine as the same day you purchased it! Achieving the perfectly plush manicured look has never been more simple with Tacoma synthetic grass! Synthetic Grass Warehousecares about environmental issues and only produces products certified as lead free and free of dioxin emissions. Matting Disclaimer: Synthetic grass, by the nature of the composition will have?some matting possibilities. It?s important to discuss the level of use with your installer to ensure you?ve chosen the right product for your needs. Matting is not covered under the warranty.